Whimsy Farm Twine 'Sylvie' in White with a touch of Silver - 100 Metre Spool of Twisted Cotton Twine. 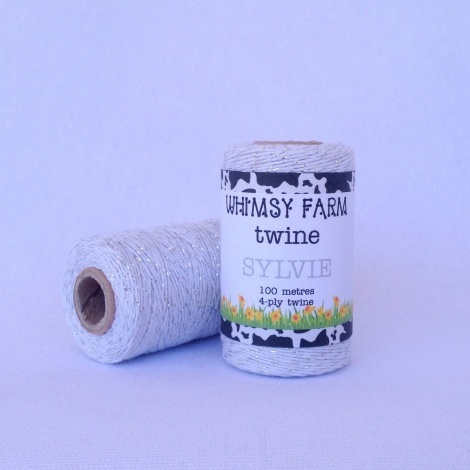 Sylvie is white twine with a strand of metallic silver wound around the twine; this means the silver can be wound off the twine, which makes it difficult to use for fiddly projects. Shipping for all items is a flat-rate of $8 Australia-wide, and orders will be sent out either the same day or, occasionally, the next day.